It’s always exciting when you find an item of clothing that serves as a statement piece. Something that is unique, stands out and really makes an outfit. This Cropped Jacket from Broke Girl Style is exactly that. I tend to buy a lot of basic items in neutral colours so that I can mix and match my wardrobe easily. Needless to say, I still want clothing items that have colours and patterns and that stand out. It’s good to have a proper mixture of basic items and statement pieces in your wardrobe. I also love how a great accessory can make or break an outfit. 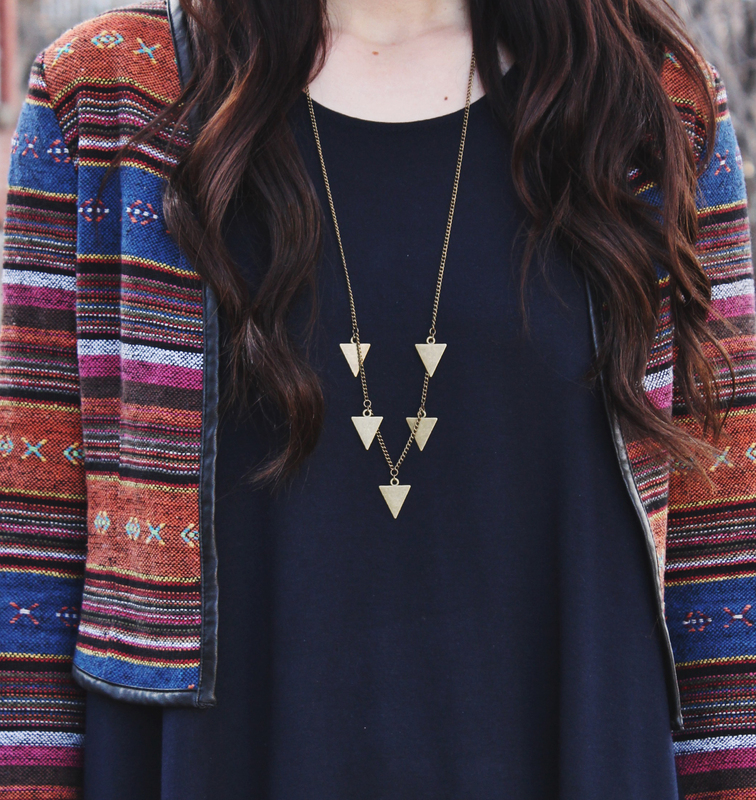 This new Coutukitsch necklace was the perfect addition to this outfit and my collection! Love this jacket! The tights are really cool too, might have to scope out my H & M! That cropped jacket is amazing! Super cute look – loooove the hat! Hello! So I’ve been following your blog for a while and we seem to have a similar body shape. I was just wondering what size that cropped jacket you’re wearing was? I was planning on buying it myself, but I don’t want to get it in the wrong size hehe. Hi! It’s a small! You will love it! I think it looks nicer in person than in the picture on the site!